The Caribbean Beach Resort refurb is underway and it appears that the refurb includes Finding Nemo. It's also rumored that they will be including suites in the future themed to Pirates of the Caribbean. A new Grand Marshall vehicle has arrived on Main Street. It is now wheelchair accessible and has tires that have Mickey Mouse heads in the treads. Disney is going to be working on it's reservation's system, as was announced last week, however, the plan is to combine dining, recreation, and tour bookings all in one place. The conversion is supposed to be finished by Oct. 21, 2008. It appears that there is actually going to be a Passholder event surrounding the new release of the Tinkerbell movie. Saturday Sept. 27 and Sunday Sept. 28 at the Magic Kingdom, Disney invites Passholders to an exclusive screening of TinkerBell. This event takes place a whole 3 weeks before the movie is set to be released on DVD. The info released also confirms that there will be a meet and greet area opening soon to greet Tink and her friends. According to Disney's calendar, Fantasmic! is set to only be open 2 days a week starting in January. No reason was given on why, nor is it known if this is a more permanent change. Performances will be shown on Monday and Thursday nights. Mickey's Not So Scary Halloween Party will be unavailable for Friday, Oct. 3, 2008. Any one with tickets for that night should contact Disney. It's been rumored that Tomorrowland might be getting an extensive refurb, themed around the movie Wall-E. This new refurb would help to create a cohesive feel to the area, with the TTA, Space Mountain, and Carousel of Progress remaining relatively untouched, but incorporating the new theme. Stitch's Great Escape would be going bye bye (Stitch is rumored to be going to the Tiki Room) and the Laugh Floor might go with it. Buzz Lightyear and Astro Orbiter would get extensive refurbs as well. Rumors are swirling that this could all take effect as early as 2012. While Stitch is being rumored to take over the Tiki Room, there are also rumors going around that the original Tropical Serenade show will be returning in time for WDW's 40 year anniversary. This won't be the only attractions enhanced to it's original glory. 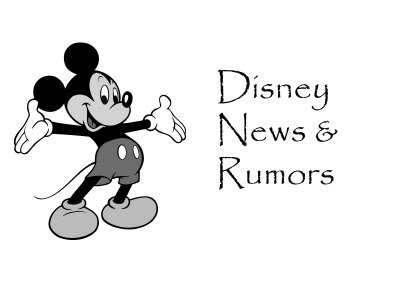 Rumored updates include Space Mountain, Walt Disney’s Carousel of Progress, The Hall of Presidents, and the Enchanted Tiki Room at the Magic Kingdom; Journey Into Imagination and Illuminations at Epcot; and The Great Movie Ride and Star Tours at Disney’s Hollywood Studios. Also rumored at this time are a new firework show and updated Spectromagic parade at the Magic Kingdom. Not all of these will take place, more likely, but the goal is to have some in place by Oct. 1, 2011. Rumors are now swirling that when Country Bear Jamboree goes down this year, when it reopens, it might open with the Christmas special first. Rumors are going around that in Epcot at the former Leave a Legacy kiosk, Disney plans to have a taste testing area where different foods and beverages can be tried out among the general public. Rumors are indeed swirling that the next attraction coming to DHS is going to be a Monster's Inc Coaster themed to the infamous door scene. Nine Dragons in Epcot is rumored to be opening early. Right now, it's set to open Nov. 28, 2008. It's been rumored that when Primeval Whirl goes down for refurb this fall, it will be receiving an on-ride photo opportunity and this photo will then be tied into Photopass.